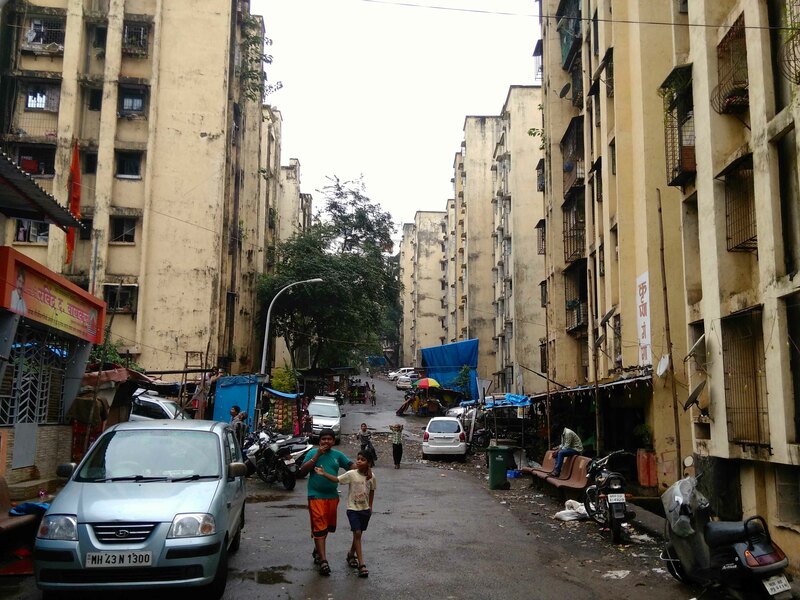 It has been over seven years since Surekha and her family moved into the Slum Rehabilitation Authority (SRA) building at Aarey Milk Colony. 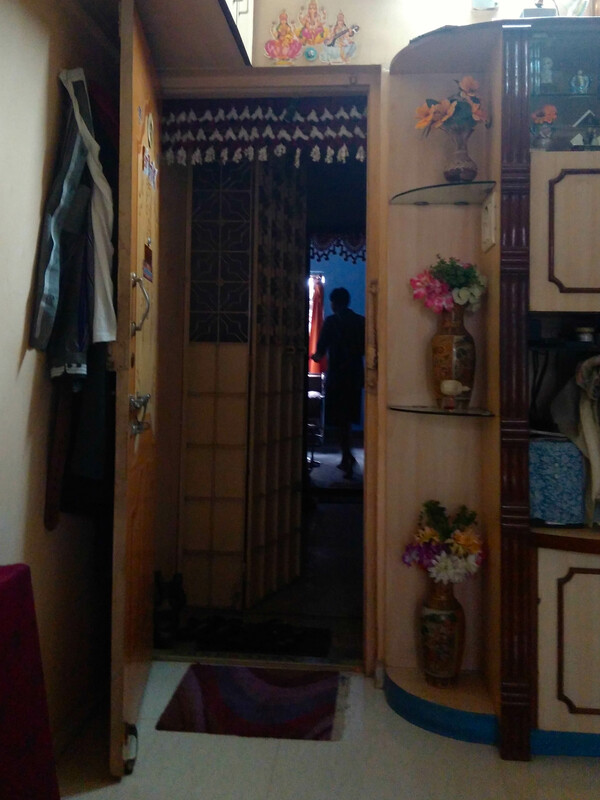 Her 1-Hall-Kitchen apartment (where the hall becomes a bedroom at night) covers only 225 square-feet, but houses four adults. It is small by most standards but the family has mastered the art of organizing their lives to fit into a cramped space. 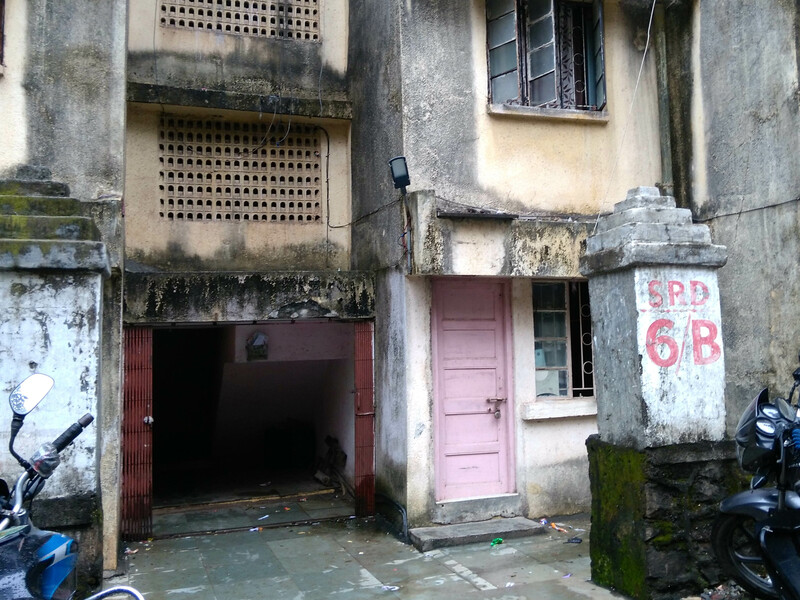 Surekha’s is one of the many buildings in the SRA compound. The common letter box for her building. A dream deferred – their elevator is still under construction. 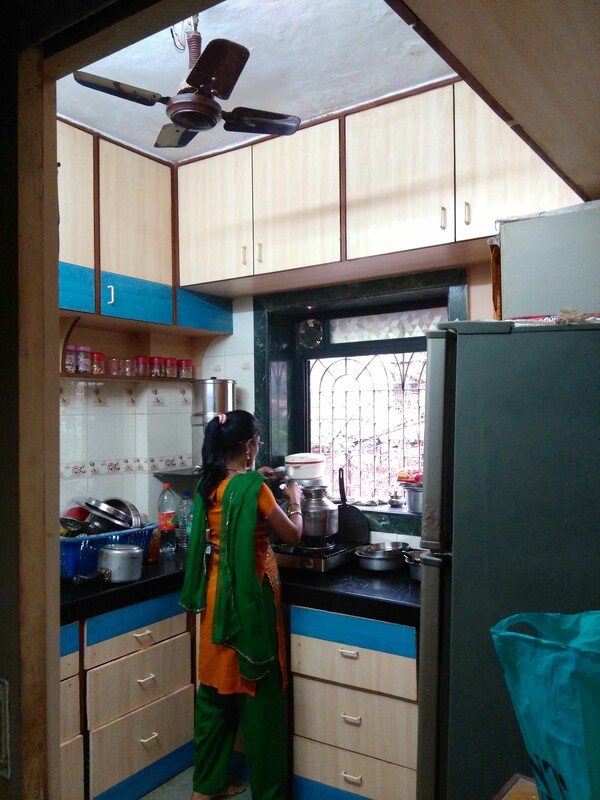 Surekha making tea in her tiny but spotless kitchen. 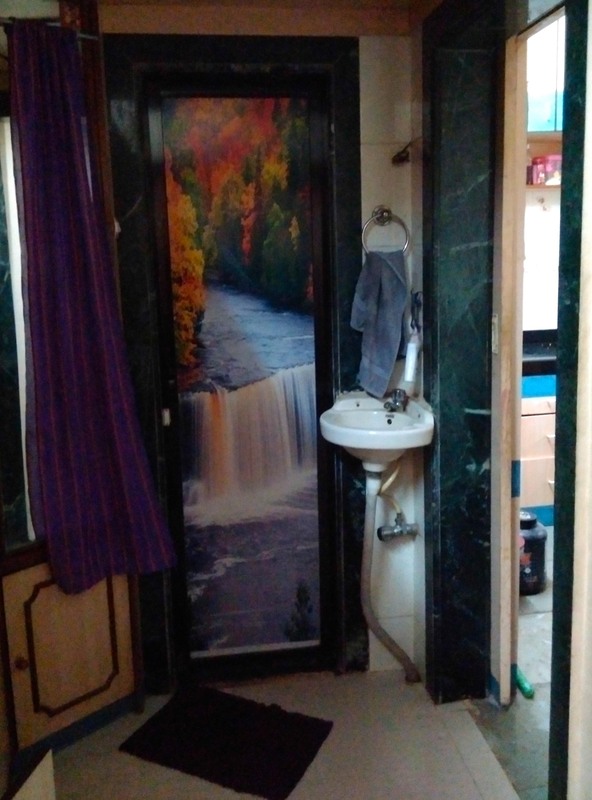 The toilet has been cleverly concealed behind the picture of a waterfall. 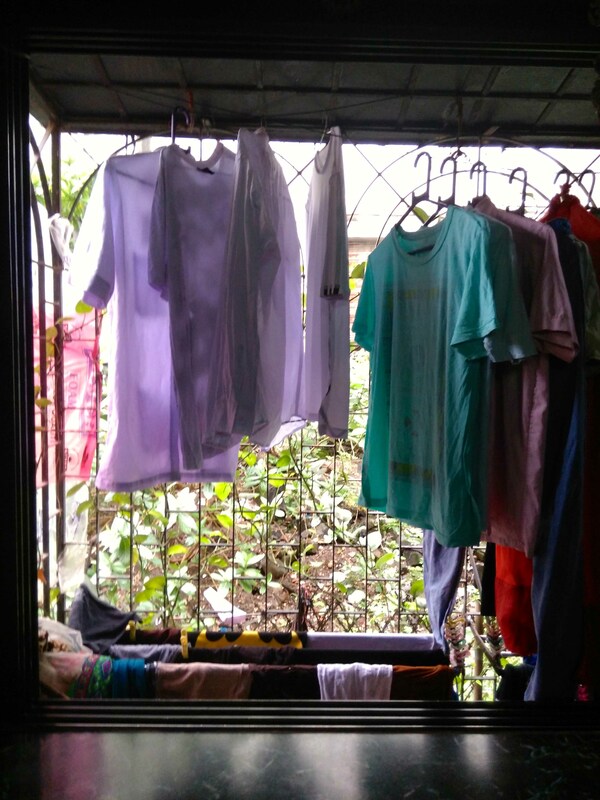 The view from their window is perpetually obstructed by clothes kept out to dry. 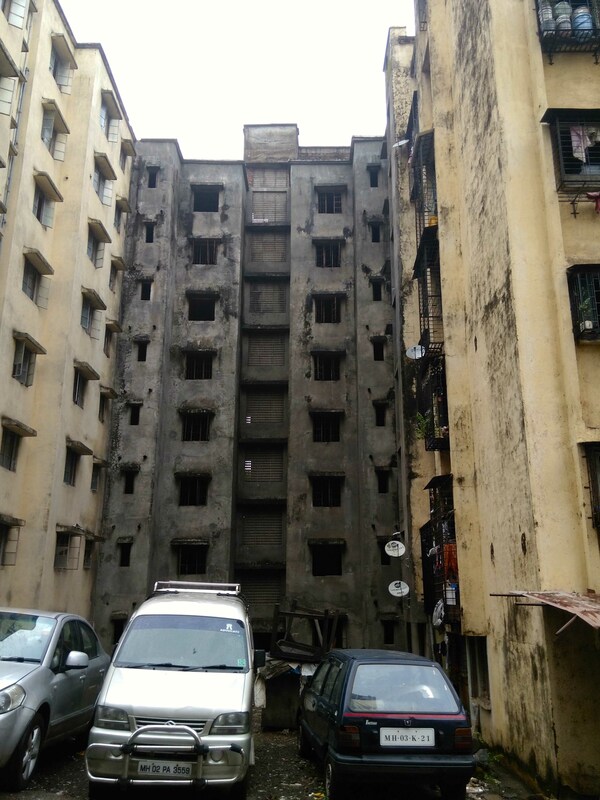 Many of the SRA buildings in the compound lie vacant as the rehabilitated communities refused to move in, complaining about the lack of basic amenities.